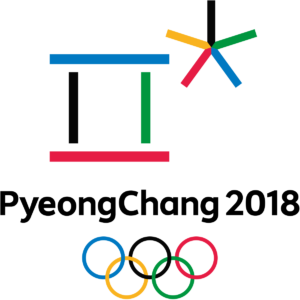 If you scored tickets to the Winter Olympics in South Korea, congrats! But while sporting athletes from around the world will be competing for the gold, cyber “athletes” will be working hard to steal your data. So before the opening ceremonies on February 9, take a few minutes to understand what you should do to stay safe. Unfortunately, in the heat of an exhilarating victory or crushing defeat, common sense often goes out the window. Don’t let yourself get so carried away that you forget that the bad guys are just waiting for you to slip up. Here’s what I would add to the advice offered by US CERT. When in Pyeonchang (or anywhere, really), stay off public wireless networks! I’ve said this before and I’ll say it again – public wireless networks are not safe under any circumstances without the use of a virtual private network (VPN). A good VPN client is inexpensive and easy to install. Use it, every time. Learn more about VPNs in this previous post. The other option is to solely use your device’s 4G connection. It’s tempting to avoid racking up big data charges by using free public wireless, but consider the potential cost of having your personal data compromised, and those data charges might actually be a bargain. Definitely use your credit card for purchases while overseas, but only use one card. And again, while it might be tempting to use your debit card for some quick cash at an ATM, resist the urge. Those ATMs could have card skimmers attached, and they could also be closely watched by someone you’d never see in a crowd. When you come home, immediately call your credit card company and request a replacement card. Tell them you were at the Olympics and want to minimize the damage if your credit card number was stolen. They will thank you for it. If you’re halfway around the world in South Korea, do you really want others to know that your house might be unattended? They will if you post photos and updates from the Olympic venue on social media. Wait until you get home to post your photos. Be extra vigilant about emails, especially those that might point you to tempting sites for discounted event tickets or offer “exclusive” information about scores or athletes. Don’t click on links or downloads, even from people who appear to be someone you know – they could be the adversary trying to trick you. Stick to text communication only in your emails. As with all unfamiliar and highly-charged situations, amid huge crowds, the bad guys are counting on you to let down your guard. You’re in another country, with a different language and unfamiliar customs. These types of mega sporting events are ripe hunting grounds for criminals of all stripes and they are in it for the win. Just as you would be vigilant about in-person scams, stay vigilant about cyber threats. Don’t let the adversary bring home the gold.